Mission Captive U-brake lever. Made from super stiff forged aluminum. Features a 2 finger design lever for comfort and a hinged clamp for easy installation and removal. 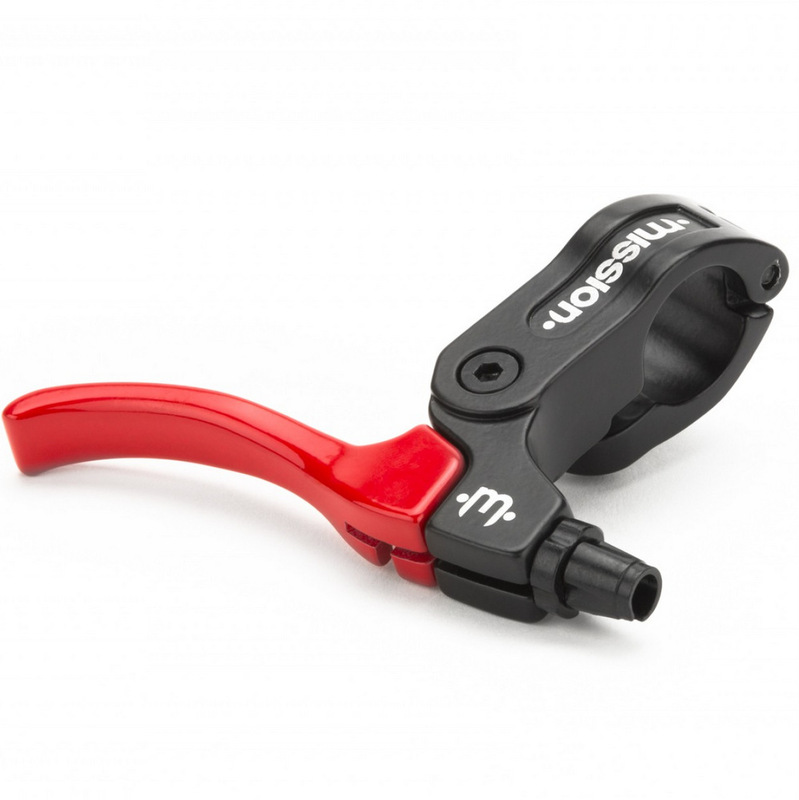 Brake lever that has a two finger design and hinged for easy installation/removal. It's forged aluminum material provides extra strength and stiffness.